Founded in 1945, HRS (Hermetic Réfrigeration Service) specialise in rebuilding all brands of refrigeration compressors for the European market. Across more than 8,000 m² of workshop and office space, HRS give a new lease of life to refrigeration compressors. 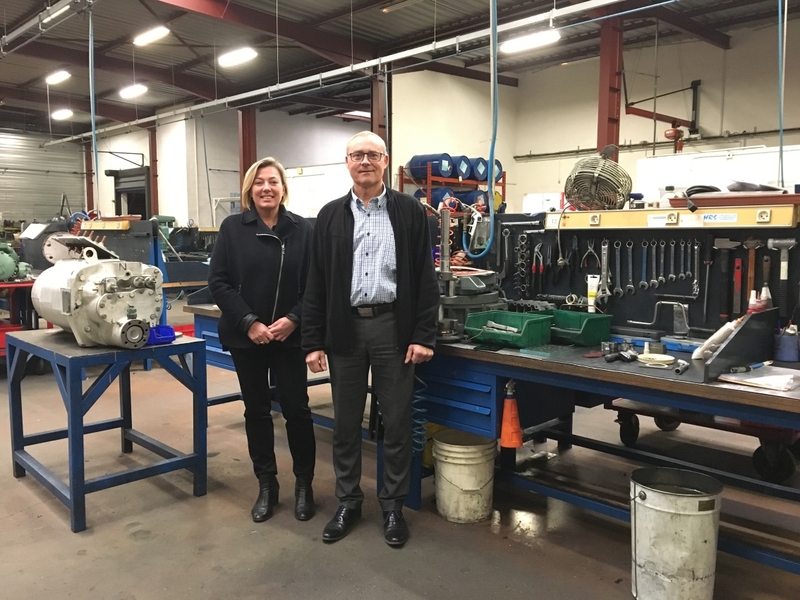 The company has a lot of expertise which enables it to support and advise its customers in the prevention, analysis and repair of broken compressors. HRS not only rebuilds compressors, but can also, through detailed examination of the disassembled compressor and discussions with refrigeration engineers, find the causes of degradation and thus help its customers to better prevent damage. - Presence of contaminants in the refrigerant circuit. - Surges of liquid or oil. - Breakage due to lack of lubrication. HRS explains that in more than 80% of instances, a compressor is damaged as a result of anomalies in the system or operation under critical conditions. It is estimated that 70-75% of the damage is caused by lubrication problems. This is often the first cause of compressor failure and is often only a symptom of a circuit related problem, but it can lead to significant mechanical damage. 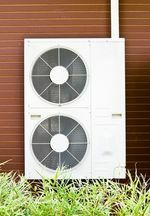 Surrounding factors that concern the compressor will most often be called into question (eg pressure regulators, under-performing heat exchangers, evaporator leakage, etc.) as Marc Beaurain, Technical Director at HRS points out. Failures such as jamming, snapping at the connecting rods, bearing rings and crankshaft are recurring damage that HRS has seen on compressors received and rebuilt in their workshop. When dismantling and examining compressors, HRS is able to identify the cause of the problem: scratches on deteriorated parts, appearance and colour of the oil or parts are indicators of why a compressor failed. Lack of oil, excessive oil temperature, drop in viscosity or the migration of refrigerant into the oil, are several reasons why there may be a lack of lubrication. As oil is essential for the lubrication and cooling of moving parts in the compressor, it is necessary that its level in the housing remains the same. A drop in oil level or poor return of oil to the compressor may cause overheating of the compressor parts and therefore damage it. A refrigerant leak and therefore a lack of charge, will cause overheating of the compressor and cause a drop in oil viscosity. This may cause the oil film to separate and not lubricate the moving parts. Although not the only one, it is the most common reason for compressor overheating. Incorrect adjustments will also cause the moving parts to heat up and will degrade the viscosity of the oil, which will be too ﬂuid to avoid mechanical destruction. There will also be phenomena related to the migration of the refrigerant into the oil, which returns to the compressor in the liquid phase, cleans and dries the moving parts of the compressor which should remain lubricated. Presence of contaminants : water vapour is the number one enemy of the refrigerant circuit. It causes direct contamination by sludge and oxide formation. Water breaks down the refrigerant by chemical reaction, with the formation of acidity rapidly weakening the winding insulation. At high discharge temperatures, the reaction between the oxides of the oil and the refrigerant will cause copper plating. With water vapour, ice plug formation will form on the suction filters of the compressor. There may also be contamination by air or impurities that will have negative but slower impact than water vapour. Overheating : a compressor overheating problem is usually caused by a low mass ﬂow at the suction side of the compressor. This may be due to abnormal suction, overheating, or a lack of refrigerant charge, but also to a very high compression ratio or prolonged operation at more than 50% power reduction of compressor capacity. 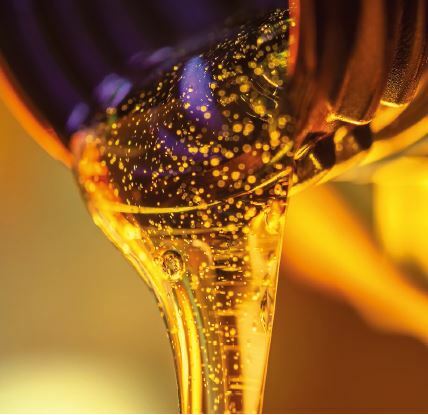 If it overheats, the lubricity of the oil will be greatly altered which could damage the connecting rods and bearing rings. Surges of liquid or oil : are mainly the result of pressure regulator malfunction. Oil surges can be caused by prolonged power reduction below 50% of the compressor capacity. As the speed of the gas is not sufficient, the oil will remain trapped in the evaporator and then return suddenly as soon as the compressor gets back to 100%. This can lead to a failure at the cylinder joints, discharge and/or suction valves, breaking rods and pistons, etc. Electrical incidents : examination of the windings will make it possible to target the origin of the degradation. It can result in localised breakdowns, power supply faults on a three-phase motor for example, a total burnout of the coil when the compressor starts, stator overheating due to a lack of charge or short circuits caused by friction of the rotor on the stator. 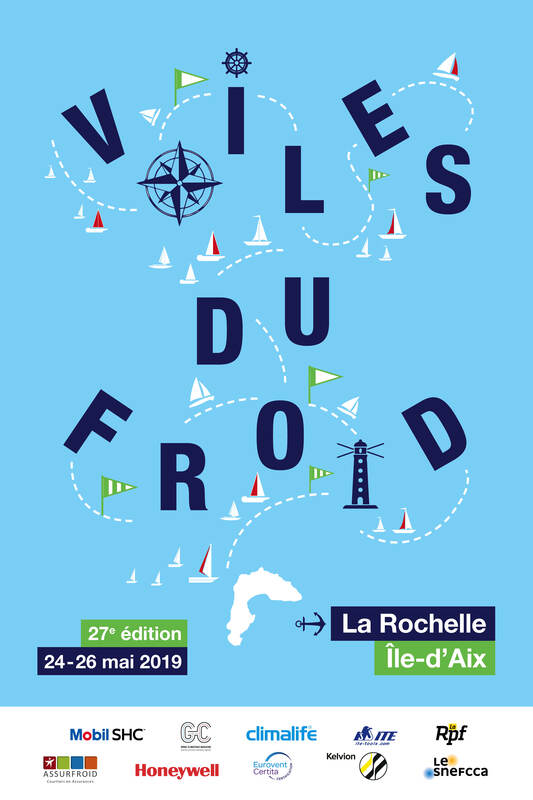 For Marc Beaurain, « choosing a good lubricant lies in choosing a trusted supplier, who will select a technology compatible with the refrigerant used, so that the latter can always return the oil to the compressor and regularly balance the housing ». As a reminder, oil has four main functions. In addition to lubricating moving mechanical parts, it contributes to the sealing of the system, it is a driving ﬂuid for some devices and a cooling ﬂuid in the case of screw compressors for example. As noted earlier, despite oil separation systems, the oil distributed throughout the circuit will tend to log where the circulation speed is low. It will settle on the walls of the exchangers (in particular the evaporators) and reduce their efficiency. If the oil does not return to the compressor properly, the oil pump may not work and cause the machine to stop. The oil should therefore be selected according to the refrigerant, its miscibility and solubility with the refrigerant, operating temperatures, and type and technology of the compressor. HRS works mainly on semi-hermetic or screw compressors with an average power of 50 kW, mainly operating with HFC and HFO blends . It rebuilds up to 1600 compressors each year. 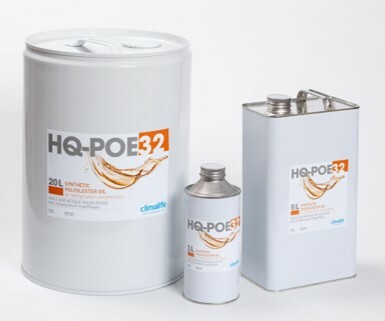 HRS has particularly selected the range of HQ POE, oils; high quality POE synthetic oils from Climalife. The company also recommends preventive maintenance of systems and regular maintenance before cold weather to prevent breakdowns and potential system failures. Marc Beaurain says « that simple analysis of the oil can be enough to detect a potential risk for the system in place ». An acidity test such as Climalife’s Acitest Unipro can indicate in seconds whether the acidity of the oil is good, borderline or bad for the system. Choosing to use a rebuilt compressor means choosing a fast service at a reduced price with a longer warranty period. But it’s also an environmental choice! 80% of the parts of a compressor are reused during reconstruction, giving two or sometimes three new leases of life to a compressor. As preventive maintenance of systems is becoming increasingly rare, it is common for HRS to be asked to provide on-site training to equip its customers with good practices in terms of maintaining their installations. HRS also produces evidence for legal cases where expert assessment is needed on a compressor breakage. When required, as many as 20 people can gather around the skeleton of a compressor and its spare parts to establish an accurate diagnosis of the origins of the breakdown.